We all love nature photos, especially of cute birds and animals. This spring, I spent a week at a friend's acreage collecting shots of the cutest critters you've ever seen. Their back yard is a nature photographer's heaven. All I had to do is park my camera in front of one of the many bird feeders, and begin clicking the shutter. Waking up in a strange house can be disconcerting. Waking up at 5:00 a.m. in a strange house to the trilling of happy birds in the nearby trees can be even more disconcerting. After a very late night hashing over family problems, waking up at 5:00 a.m. to trilling birds before you've even had your morning coffee can be disconcerting in the extreme. Don't get me wrong - I am generally a morning person, though I do like to start my days with a steaming "cup o' java" which is sometimes the best part of the day, especially when you're trying to help resolve family problems. The resolving part had turned out to be fairly easy in the end, after all - a single day of packing, teeth-gritting, and tongue-biting, followed by a swiftly loaded moving van that wrote the finish to that painful scenario. The slightly giddy, tearful, and long-into-the-night after-math had been draining but affirming. What I hadn't been at all prepared for was the Walt Disney dawn chorus of happy little birdies, all happily proclaiming their mating search - right outside my window. You could hear the feathered Don Juans calling for miles around. It seemed as if spring had arrived overnight, filling the new day with a symphony of twitters, from the melodic morning burble of the Red-Winged Blackbird to the cheerful and unmistakable Oh, Canada, Canada, Canada of the White-Capped Sparrow. 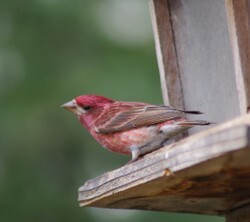 The finches that graced our morning kaffee klatch had many of the typical features of the finch family - the stubby, seed-cracking beak, and the distinctive flight. Like all true finches, they had the bouncing flight of most small birds of their kind - alternating bouts of flapping with gliding on closed wings. I can also attest to the fact that they are good singers, as they sang well, long, and with great gusto, especially when there was a lady in sight. Though I found their song was lovely, once I became accustomed to hearing them at first light, it was their beautiful plumage and the wide variety of markings that I found the most striking. The red shades in their coloring ranged from barely-pink, to a warm golden rose, to quite a bright red. I must admit I missed some of the choicer moments of the male finches mating display. Sometimes, we were having too much fun just laughing at their antics to focus the camera properly. Sparrow meets Finch - who gets the seeds? Did I mention we were staying at a friend's acreage? ...surrounded by woods, wildlife, and hiking trails... and very noisy birds? As it turned out, we were not the only ones who didn't appreciate the birds. A couple of Red Squirrels had taken a proprietary interest in the bird feeders, at least in the two or three they could easily reach. The machine gun-like staccato chirping of an angry squirrel is second only to a crowing rooster as a guaranteed wake-up call. You can keep your big city alarm clocks - these boys know how to get the job done. Red squirrels are certainly busy little creatures. Watching these little creatures rushing back and forth on the branches of a nearby evergreen, trying to protect the stash of sunflower seeds, all the while descrying the incursion of those wretched birds, kept us amused for hours on end - once we had our morning cup of coffee in hand, of course. I was thrilled when one of the little marauders decided she needed to add some spring green to her diet, as I was able to get some adorable photos of her munching fresh evergreen tips. Cute squirrel, lush backdrop of evergreens fro perfect contrast - what nature photographer could have asked for more? Would you go through as much effort as this little squirrel for fresh greens? It will probably take days for me to sort and categorize the hundreds of photos I managed to take in a few short days. At time, it seemed all I did was to grab a morning coffee, sit on the deck and click the shutter, make breakfast, sit on the deck and click the shutter, make lunch, have more coffee, go for a long walk and click the shutter, take a quick break for supper, and sit on the deck and click the shutter 'til it was too dark to see. I learned a lot about those little critters, from my friends who own the acreage, aside from the fact that they are SO photogenic, and I learned a few tricks with my digital camera. In the end, I have some good photos, a few not-so-good photos (got to love digital media for being able to delete bad shots, instead of wasting film), and some really great ones that will be printed up for cards - all in all, a great time, that flew by all too quickly. 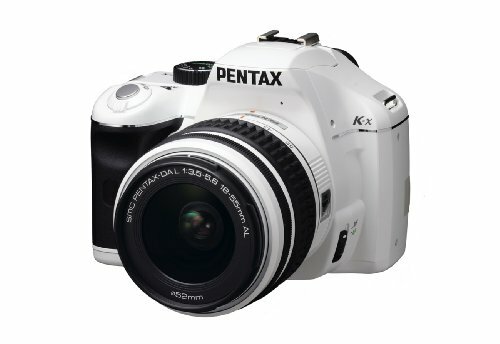 For those interested in digital photography, here's the camera I used. It's actually "old news" now, and probably out of date, as it was purchased over a year ago. The nice man at the camera store explained that these cameras do lots more than most people need. Apparently, even professionals don't use some of the features that most digital cameras offer. (c) 2012 Text and photos by Elle Fredine, All rights reserved, You are expressly forbidden to copy or reproduce this text or photos by any means without written permission from the author. Brenda and Tolovaj, thanks so much for your support. We have very different birds here from the ones I knew from ON, but some are familiar friends. 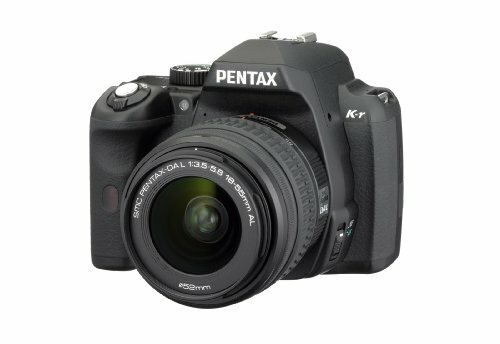 I love my digital camera, but still have a lot to learn about it - too many features. It looks birds and squirrels were not only busy ones:) Beautiful photos! Those are such beautiful photos. I've never seen a rosy finch. I moved from CA to KY, and I just love all the beautiful birds here. Thanks so much, Roohi! You should see the next few shots (which I managed to get), where the finch goes ballistic and chases the sparrow away! These photos are quite amazing indeed. I really like that "uneasy truce" photo. Thanks for sharing. Thanks, Marie and Kate! Glad you liked the photos! We have yellow finches here, too - wild ones, but I've only ever seen them out at the lake. They look like a flock of tiny bright canaries. This is amazing and right up my alley. I love finches, I have the most brilliant yellow finches coming to my feeders. I rarely see the rosy finches they are amazing. I love drinking my money tea or coffee while watching the birds and squirrels eat. I love feeding them and watching them amazing. Great photo's and camera.